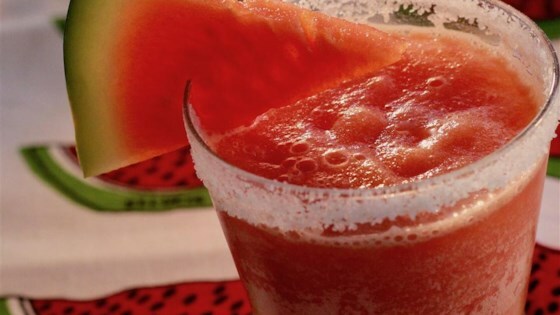 Combine watermelon, ice, tequila, sugar, lime juice, vodka, and orange liqueur in a blender; blend well. Pour margaritas into glasses. Refresh with pretty pink slushie cocktails! Excellent drink for the kids to enjoy when made without alcohol. 3.19.17 Had some watermelon to use up, so I mixed up my first watermelon margarita. It was the perfect sidekick to a Sunday evening barbecue. tired it but it just didn't taste right. Too much alcohol to watermelon.